iTunes Not Recognizing iPhone? Here's Why & The Real Fix! You are at:Home»iPhone»Syncing»iTunes Not Recognizing iPhone? Here’s Why & The Real Fix! iTunes Not Recognizing iPhone? Here’s Why & The Real Fix! You plugged your iPhone into your computer, but nothing’s happening! For whatever reason, iTunes won’t recognize your iPhone. 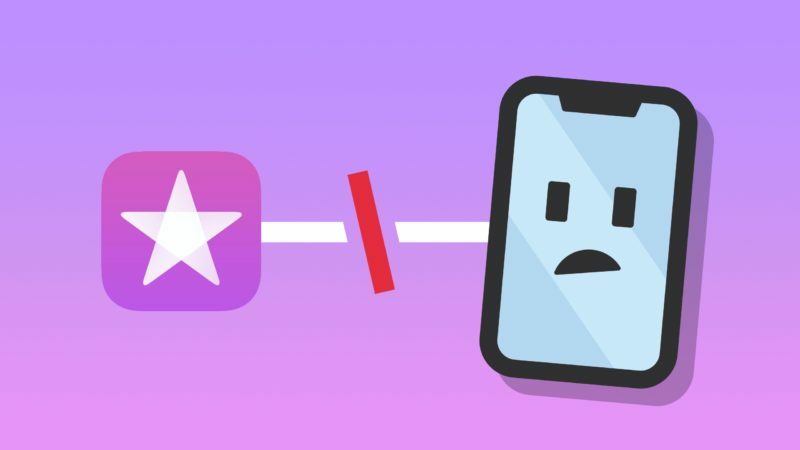 In this article, I’ll explain why iTunes is not recognizing your iPhone and show you how to fix the problem for good! Why Isn’t iTunes Recognizing My iPhone? iTunes is not recognizing your iPhone because of an issue with your Lightning cable, your iPhone’s Lightning port, your computer’s USB port, or the software of your iPhone or computer. The steps below will show you how to fix the problem when iTunes won’t recognize your iPhone! It’s possible iTunes is not recognizing your iPhone because there’s an issue with your Lightning cable. If your Lightning cable is damaged, it may not be able to actually connect your iPhone to your computer. Quickly inspect your Lightning cable and check for any damage or fraying. If you think there’s an issue with your Lightning cable, try using a friend’s. If your computer has multiple USB ports, try using a different one. MFi-certification is essentially Apple’s “seal of approval” for iPhone cables. MFi-certified Lightning cables are ones that are safe to use with your iPhone. 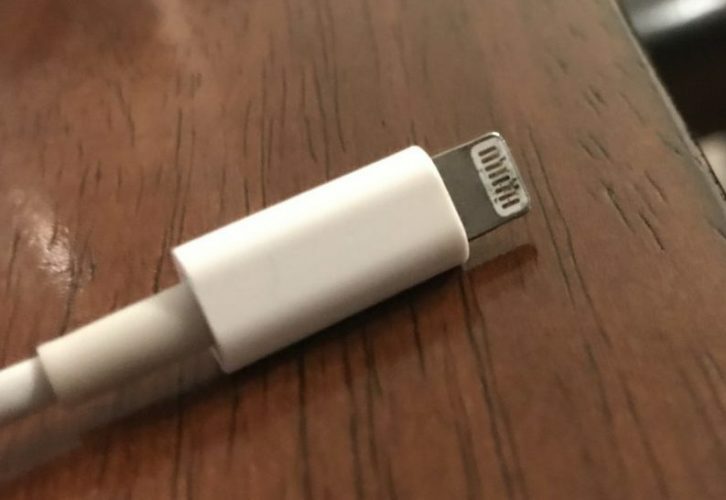 Generally speaking, cheap cables you’ll find at your local dollar store or gas station aren’t MFi-certified and can cause serious damage to your iPhone. They can overheat and damage the internal components of your iPhone. If you’re looking for a great MFi-certified iPhone cable, check out the ones in the ones in Payette Forward’s Amazon Storefront! Next, check inside your iPhone’s Lightning port — if it’s clogged with debris, it may not be able to connect to the dock connectors on your Lightning cable. Grab a flashlight and closely examine the inside of the Lightning port. 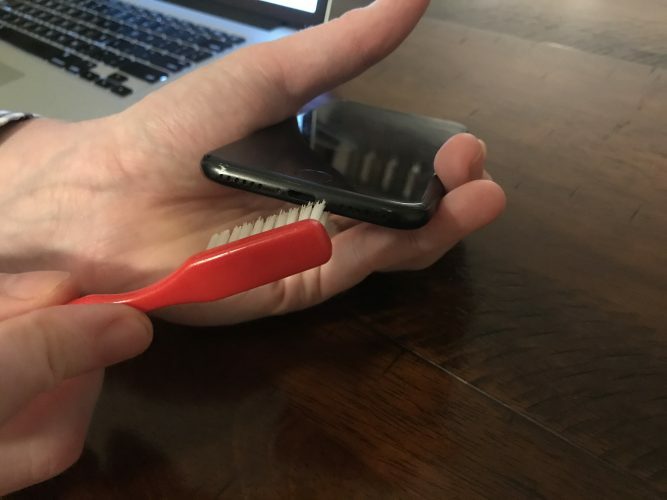 If you see any lint, gunk, or other debris inside the Lightning port, clean it out with an anti-static brush or a brand new, unused toothbrush. If you’re computer is running an old version of iTunes, it may not recognize your iPhone. Let’s check to see if an iTunes update is available! 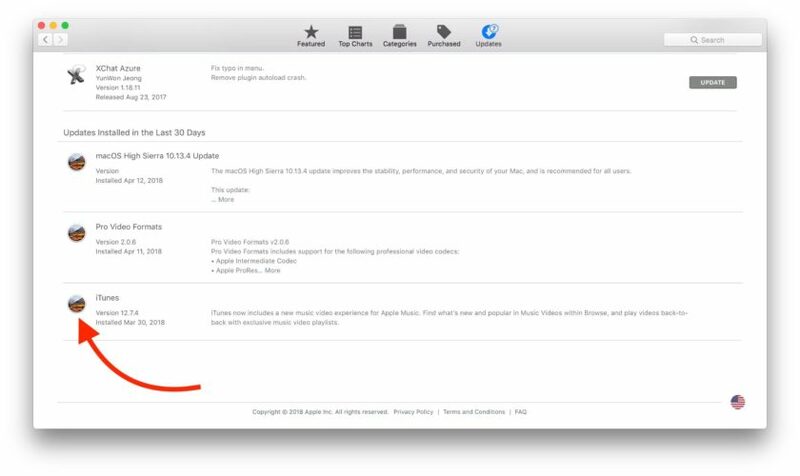 If you have a Mac, open the App Store and click the Updates tab at the top of the screen. If an iTunes update is available, click Update to its right. If your iTunes is up-to-date, you won’t see the Update button. If you have a Windows computer, open iTunes and click the Help tab at the top of the screen. Then, click Check for Updates. If an update is available, following the on-screen prompts to update iTunes! iPhone X: Press and hold both the side button and either of the volume buttons until the power slider appears. Swipe the power icon left to right to shut down your iPhone. After a few seconds, press and hold only the side button until the Apple logo flashes onto the center of the screen. All Other iPhones: Press and hold the power button until slide to power off appears. Swipe the white and red power icon from left to right to turn off your iPhone. Wait a few seconds, then press and hold the power button until you see the Apple logo on the screen. While you’re at it, try rebooting your computer as well. It’s also susceptible to software crashes, which could prevent iTunes from recognizing your iPhone. From time to time, you’ll see a pop-up that asks if you want your iPhone to “Trust” your computer. This pop-up always appears the first time you connect your iPhone to a new computer. By trusting your computer, you’re giving your iPhone the ability to connect to iTunes. There’s a chance iTunes won’t recognize your iPhone because it doesn’t trust your computer. If you see the “Trust This Computer?” pop-up, always tap Trust if it is your personal computer! I Accidentally Tapped “Don’t Trust”! 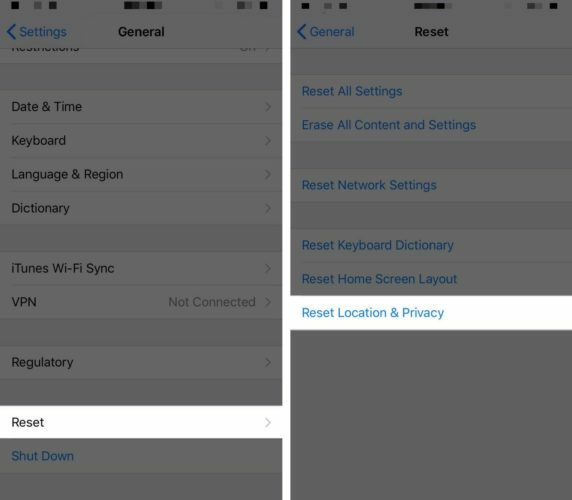 If you accidentally tapped “Don’t Trust” when the update appeared, go to Settings -> General -> Reset -> Reset Location & Privacy. 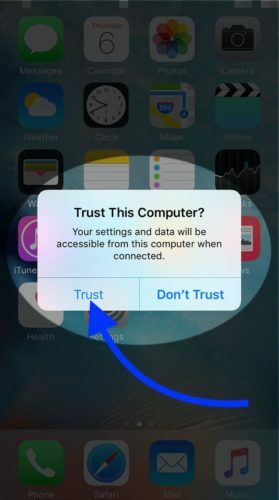 The next, time you connect your iPhone to your computer, you’ll see the “Trust This Computer?” pop-up once again. This time, make sure to tap Trust! Computers running old versions of software can occasionally run into minor glitches and bugs. 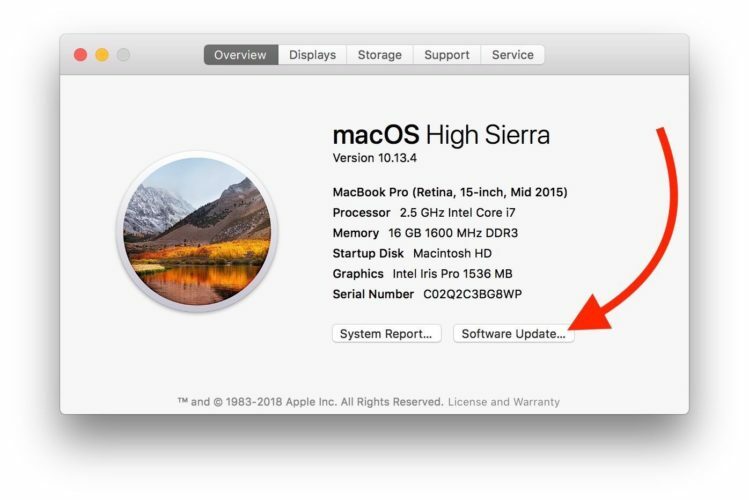 Updating to the latest version of your computer’s software is a quick way to try and fix the problem. If you have a Mac, click the Apple logo in the upper left-hand corner of the screen. Then, click About This Mac -> Software Update. If an update is available, click Update. If not update is available, move onto the next step! If you don’t have a Mac, check out our article that focuses more specifically on PC fixes. Steps like reinstalling the Apple Mobile Device USB Driver can sometimes fix the problem when iTunes is not recognizing your iPhone. If iTunes still won’t recognize your iPhone, there’s one last software troubleshooting step we can take. 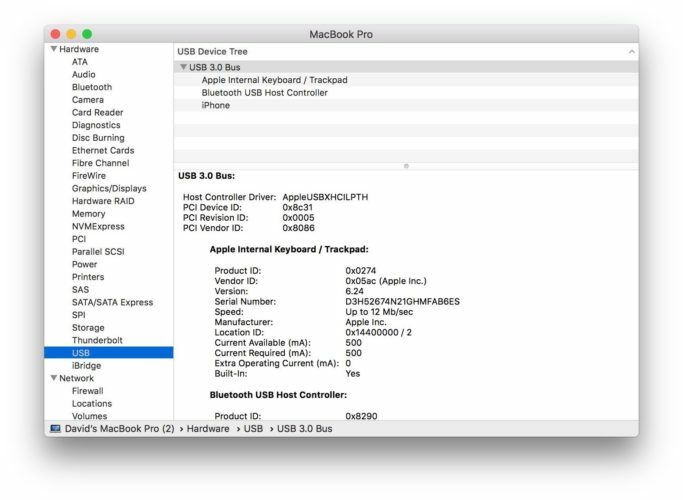 We’re going to check your iPhone’s System Information or System Report to see your iPhone shows up under the USB device tree. First, hold down the Option key and click the Apple logo on the upper left-hand corner of the screen and click System Information or System Report. 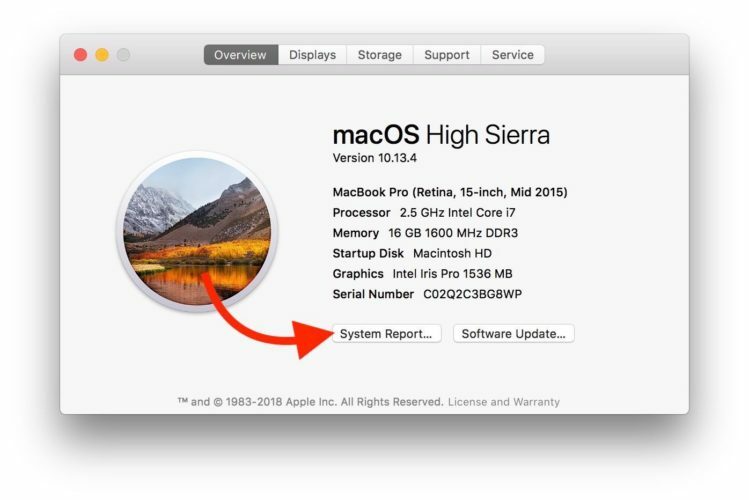 If your Mac says System Information, click System Report when the pop-up appears. Now that you’re in the System Report screen, click the USB option on the left side of the screen. If your iPhone doesn’t appear in this menu, there’s probably a hardware issue preventing iTunes from recognizing your iPhone. It could be an issue with your Lightning cable, a USB port, or the charging port on your iPhone. I’ll cover this in more detail in the next step! If your iPhone does appear in this menu, there’s a third-party software preventing your iPhone from being recognized by iTunes. A lot of the time, the third-party software is some sort of security program. Check out Apple’s guide on resolving issues between third-party software programs and iTunes for additional help. If iTunes still won’t recognize your iPhone, it’s time to think about repair options. By now, I hope I’ve helped you determine what’s causing the problem. If it’s your Lightning cable, you’ll have to get a new one or borrow one from a friend. You may be able to get a replacement cable from the Apple Store if your iPhone is covered by AppleCare+. If it’s a USB port, you may have to get your computer repaired if none of the USB ports are working. It’s also possible that the USB end of your iPhone’s Lightning cable is the problem, so make sure you’ve tried connecting multiple devices to your computer via the USB port. If your iPhone’s Lightning port is causing the problem, you may have to get it repaired. If your iPhone is covered by AppleCare+, schedule an appointment at the Genius Bar and head into your local Apple Store. If your iPhone isn’t covered by AppleCare+, or if you need to have it fixed immediately, we recommend Puls. Puls is an on-demand repair company that will send a certified technician straight to you. They’ll fix your iPhone on-the-spot and the repair will be covered by a lifetime warranty! iTunes is recognizing your iPhone once again and you can finally sync them. Next time iTunes is not recognizing your iPhone, you’ll know exactly how to fix the problem! Leave a comment below if you have any other questions about your iPhone. Previous ArticleiPad Battery Problems? Here’s What To Do When It Drains Fast! Next Article How To Turn Off Auto-Brightness On iPhone: The Quick Fix!